The justice secretary had to step in to defend Grenfell Tower inquiry chairman Sir Martin Moore-Bick as MPs joined growing calls for him to quit. David Lidington said on Tuesday that he had “complete confidence” in the retired Court of Appeal judge, after Labour’s Kensington MP Emma Dent Coad added her voice to those demanding that Moore-Bick step down. Pressure has been growing since Moore-Bick admitted his investigation would be limited to the causes of the fire, its rapid spread and how similar tragedies can be prevented in future. “The public inquiry into the Grenfell Tower disaster has understandably been the subject of much commentary. People have every right to feel passionate about this. The community - and the whole country - want answers following such a horrific tragedy,” Lidington said. Downing Street also backed Moore-Bick. Prime Minister Theresa May’s spokesman said the veteran magistrate is “highly respected, hugely experienced." But Grenfell’s local MP, Dent Coad, and her Labour colleague Shadow Fire Services Minister Chris Williamson had their doubts over the scope of the inquiry. They said it might not meet the needs of victims and their families. “There remain some serious question marks about Moore-Bick’s ability to win trust among the community that have been directly affected by Grenfell and I understand that survivors of the fire are asking for him to stand down,” Williamson told PA. The Labour frontbencher also shared his concern at a historical judgement made by Moore-Bick which allowed a London council to rehouse a tenant 50 miles away from her original home. The ruling was later overturned by the Supreme Court. “From reading the Supreme Court judgment, it appears as if Moore-Bick was far too ready to find in favor of the political establishment, rather than questioning their decisions,” Williamson added. 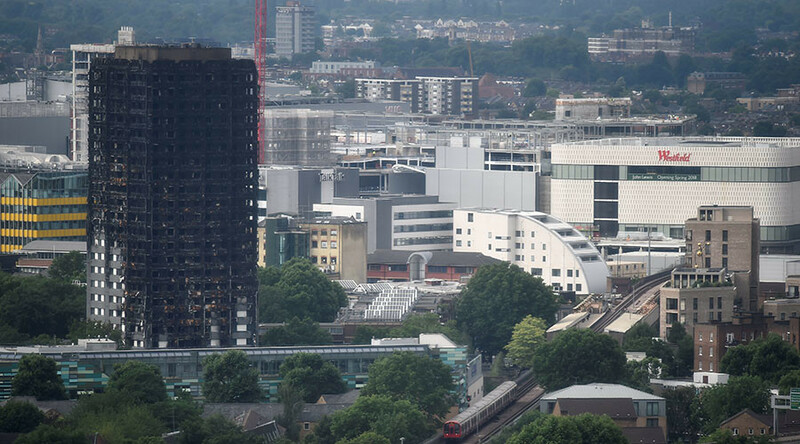 Buildings at three National Health Service (NHS) trusts in England have been found to be cladded in a material similar to that blamed for the rapid spread of the Grenfell Tower fire which killed at least 80 people. Structures at Sheffield Children’s NHS Foundation Trust, North Middlesex University Hospitals NHS Trust, and King’s College Hospital NHS Foundation Trust in south London failed fire safety tests this week. The Sheffield hospital has already taken steps to remove the dangerous cladding from one of its buildings. All trusts assured the public that the buildings in question were not used for in-patient accommodation. “Patient safety is paramount. There will be no disruptions to patient services or continuity of care,” a spokeswoman for NHS Improvement said. NHS Improvement confirmed that 38 organizations required urgent checks to their buildings. All 38 of these “priority one” trusts started 24-hour fire warden patrols after potentially dangerous cladding was identified as part of their structures. 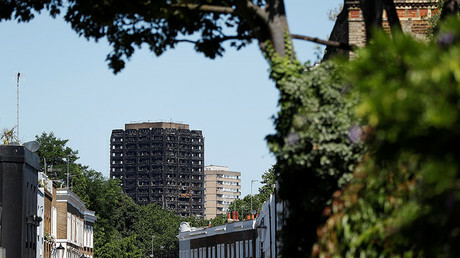 Of the 38 trusts, 19 were found to need no further action at this stage, while another 11 were also found in the clear “as the building material sampled is not aluminium composite material” like that found at Grenfell.